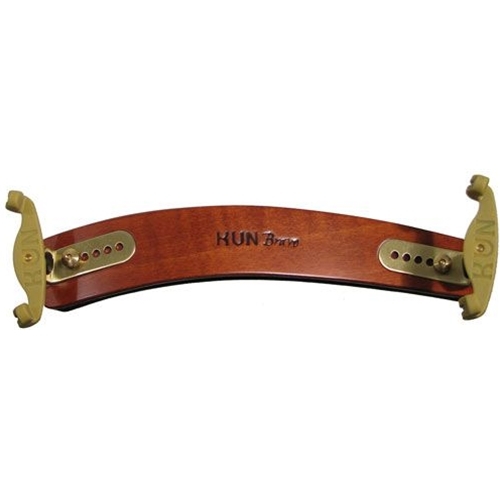 The Kun Bravo is unique among wooden shoulder rests. The Bravo's bent hardwood laminates alternating in grain structure provide maximum strength with some flexibility. As a result, this rest maintains Kun's instantly- recognizable ergonomic shape, easy attachment to the instrument, and stability in use. Handcrafted in Italy from European flamed maple, the Bravo has exceptional aesthetic appeal, while its polished brass ends are fully- adjustable and incorporate Kun's patented locking device.